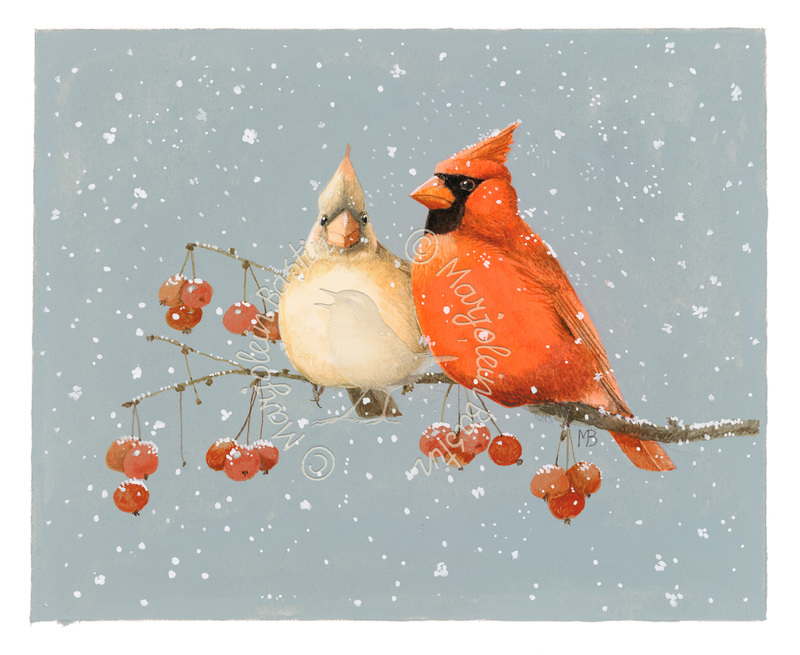 Few birds made such an impact on me as the Northern Cardinal when I first visited Missouri. Sure we have colorful birds in the Netherlands but nothing quite like the cardinal. Especially in winter when the grasses are brown and the trees bare the red flashes through the landscape are remarkable. While the male cardinal is the most recognizable with his bright red coat, the female is more modestly dressed in shades of red and brown. It isn’t uncommon to see the male and female cardinals move around as a pair, they mate for life. While during the winter they may join other birds to form small groups the pair stays together throughout the year. It’s probably because their bond is so strong and their colors so vivid that so many people consider them a sign of enduring love.